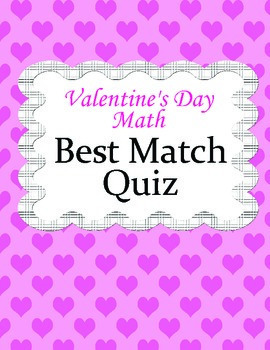 With this quiz students can calculate best match with their classmates or friends in Percents. 1. 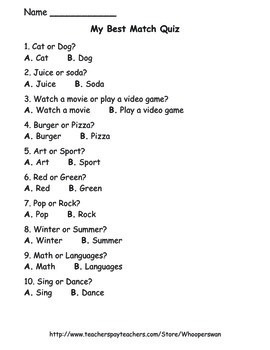 Students answer to 10 simple questions. 2. One page they pass to classmates, but another page they use for next step. 3. 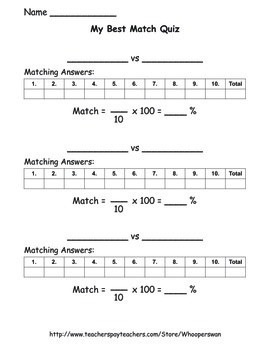 Students compare their answers with classmates and calculate matching between them. 4. 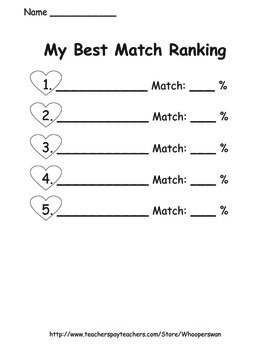 Students sort results and make their Best Match Ranking.